It is hard to believe that I was ever as hot as I was one morning last summer when I finally turned the hose on myself in the garden and felt relief for, oh, all of two minutes before doing it again! Now, deep in January, I shiver so much that it practically qualifies as exercise. The months of January and February may be my least favorite time of the year. Hardly any work gets done on our house construction as we battle ice, snow, and wind, not to mention the insulation that barely keeps up with the frosty nights. Someone told me it feels like "liquid ice" outside, and I think that's a good description. If I could climb into a fluffy bed and hibernate with books until spring, you wouldn't hear from me until the crocuses were in bloom. By the end of next month my hands will be itching for the trowel, and I'll be deep in garden dreams. Gardeners, like farmers, always live in the magical land of "next year" when your optimism is refreshed, as well as your strategies. 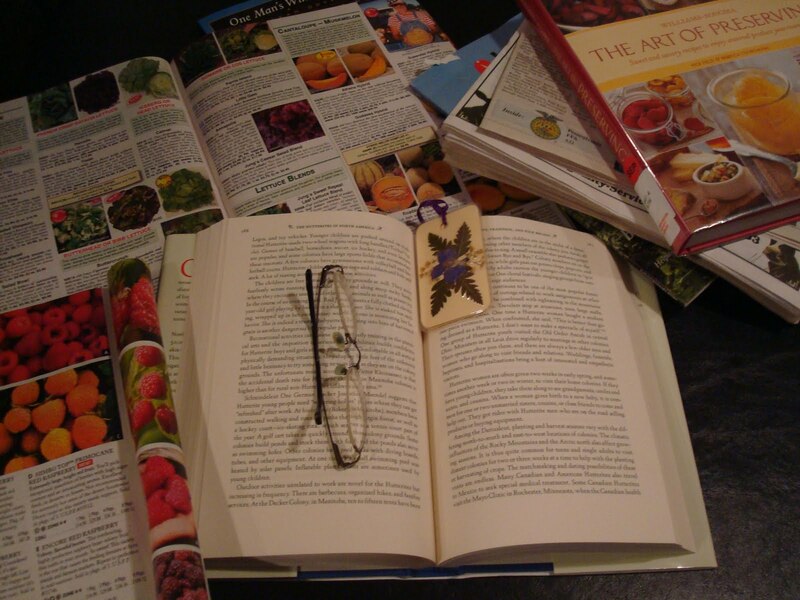 I am knee deep in winter reading...especially seed catalogs. That reminds me. Many people find my blog through the popular Amish Reading List, and I have updated it with some recent titles and also added a few titles for children (scroll down on the page). I've been meaning to update this for a while as new books pop up in catalogs and surface in Amish-run bookstores. It's such a challenge to remember to do so, and I long to do better at keeping up the "books" portion of my blog. 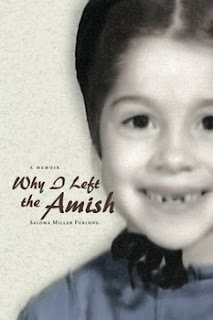 Michigan State University Press has provided me with a copy of my friend Saloma's book "Why I Left the Amish" which I previously reviewed. If you'd like to win it, just leave a comment on this post. For one additional entry, share this post on Facebook or your own blog, and then comment again to let me know! The winner will be picked on January 20th, so hurry and enter! I'm smack bang in the middle of summer over here & we're at the point where itś so hot you try not to go outside in the middle of the day - cold sounds great right about now!! That booklooks fantastic - if the giveaway is open to international bloggers,please enter me - if not I'll have to look around for it somewhere! We are not having to deal with snow or ice (mild CA winters) but we've had tons of rain and many days of gray skies. Yes, we get spoiled here. We are planning our next garden in our minds and getting the plots prepared with organic material. I'm staying busy with baking and teaching the baby his letters. I would love to be entered in the giveaway! I read Saloma's blog and have been very excited about reading her book. I think it would be wonderful to win this book, thanks for the chance. I'd love the opportunity to receive a copy of this book, too. 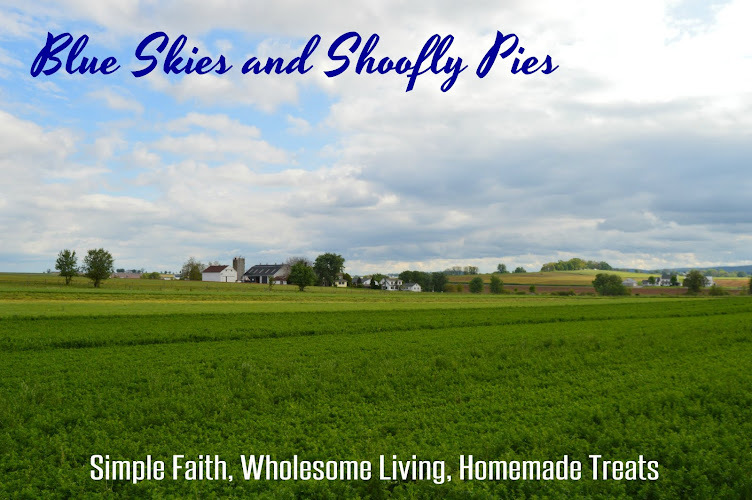 Over the past year or so I have read many fictional amish stories..and sometimes even desire to live amish myself as it sounds like the kind of life I would love. But, I also know there is two side to a coin and I think it's important to have a realistic view on what is believed to be ideal! PS. I love the patchwork design. Does it have a "name?" I'm not sure if I'm 'allowed' to enter in Australia but I will comment anyway. We are having hot weather here as well as flooding over a vast part of some states and I am starting to long for the cooler weather. Though I will enjoy the current season and all it has to offer. I'm another Australian who would love to read this book I've been reading the blog for the last month or so and love the simple way she rights, like a Childs bedtime story. I can totally relate to your feelings about the snow and looking forward to spring. We have at least 4 ft of snow right now and it's getting difficult to get out of the yard. Winter is the best excuse for reading though and I hope to get a chance to read your friend's book. Oh yes, I should have mentioned that this giveaway IS open to international entries! Oh and how I love hearing from you who are right in the middle of summer, as well as those like me who are hunkered down in the snow. @Julze- I am going to research the name of this design and get back to you on that. I enjoyed looking at your book list and have read quite a few of the books on it. I would enjoy having a new book to read. Oh yay! A chance to win one. I was just going to send for one. So Saloma will have to wait until after the 20th ;). As for winter I agree! The older I get the more I understand the "snowbirds". Hi, I would love a chance to win this book. I follow Saloma's blog and think this book would be very interesting to read. I would love to win! I just happened on your blog from reading my sister's FB page and decided to see how this works to enter a contest. I love to read good books! Thanks from Ohio! I would enjoy having a chance to read this book. I'm enjoying looking through all the seed catalogs that have been filling our mailbox recently. I'm thinking of trying raised bed gardening this year and see how I like that. I would love to have a copy of Saloma's book! I may even have the opportunity to visit her at one of her book signings this spring... and I'm very excited about that! Success! I figured out how to "share" on facbook! The little word "share" at the top of the blog's page was a BIG hint! LOL!!!! Would love to have this book. Have followed the blog. Hey there! I wanted to thank you for your comment on my blog recently--very encouraging! I have also really been enjoying your information regarding the Mennonites & Amish folk. I also wanted to toss my name into the hat for the book give-away. Hope all's well with you, & enjoy your winter reading! I would love to win the book in the giveaway. Looks interesting! 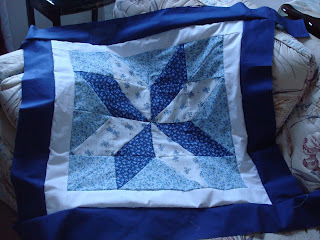 Also wanted to comment on the perfection with which you have stitched this quilt block! Beautiful work, my dear! No need to enter me in the giveaway, though I very much appreciate the opportunity! I am also following her blog and would love to read the book, but I am downsizing (supposedly)... Besides, my Books to Read list is already so long, I wouldn't get to read it for a long while. Let somebody else win it that can read it right away. I would love a chance to win the book. We have plenty of cold snowy weather in Michagan also! Thanks! I have been dealing with a husband that gets a dreamy eyed look as he peruses the seed catalogs. I think it would nice if I won this book so I could have something to stick my nose in while he's planning a 3 acre garden:)Please enter me! Hi, i love to read and this book sounds quite interesting. I discovered your blog when a friend sent me the link......quite interesting. We moved from Lancaster about 1 1/2 years ago and are happily farming in the middle of Nebraska Amish country in Snyder Co.
We are a small organic dairy farm, and attend a small church by the name of Biblical Anabaptist Fellowship. It sounds like you are keeping very busy this winter with all your various projects and activities. I would love to be entered into your contest. Thanks for all the fun things that you do. I would love to win Saloma's book. I love reading her blog. I know the book will be enlightening, also. I'd love to be included in this giveaway! would like to win this one as i have been very keen into learning "all things amish" and just finished a series of books. very interesting way of life.